I created this Lemon Pepper Pasta dish for my brother. He was convinced (and convinced me) that there is a pasta made with lemon and pepper. So I searched multiple supermarkets, and the internet; after a while I realized that I wasn’t going to find the elusive (and perhaps mythical) lemon pepper pasta. Now, I’m not one to give up easily, so I promised my brother that I would make him lemon pepper pasta. With one caveat: I don’t make pasta. Instead, I made a delicious lemony sauce. He was pleased, and I think you will be too. For more easy pasta dinners, try this shrimp & sesame noodles recipes or this amazing baked spaghetti. Enjoy! ​Bring a large pot of water to a boil, add 2 tbsp. of salt and the linguine. Stir the pasta frequently for the first few minutes of cooking time. Cook the pasta to package directions for al dente. While the pasta cooks: Heat a skillet over medium heat, add the olive oil and the butter. Heat until the butter is melted and foamy. Lower the heat to medium-low and add the garlic. Cook for 1 minute, stirring constantly. Lower the heat to low and add the lemon juice, lemon zest, ¼ teaspoon of salt and the fresh ground pepper to the skillet. Stir to combine the ingredients well and cook gently for another minute or two. Remove the skillet from the heat and set aside until the pasta is done and drained. Before draining the pasta, reserve about ¼ cup of the pasta cooking water and set aside. Drain the pasta completely, and return it to the pot. 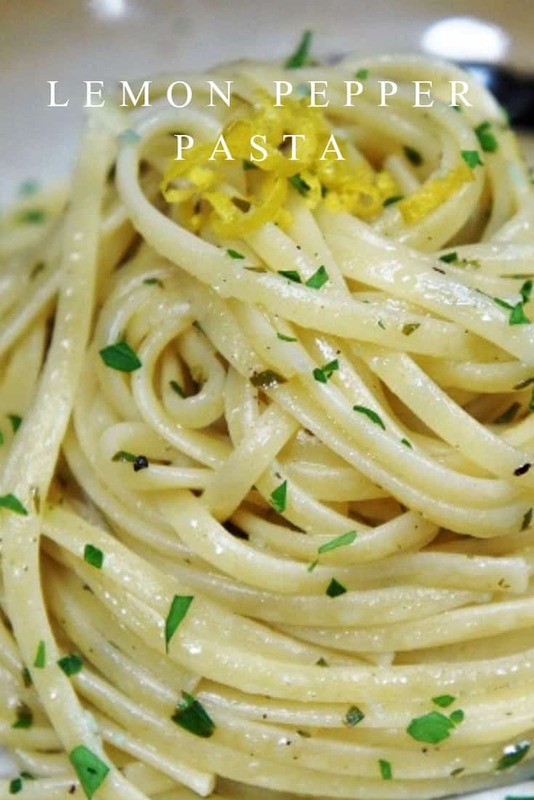 Toss the pasta with the lemon sauce, reserved cooking water and the parsley. Serve the lemon pepper pasta with extra black pepper and Parmesan cheese. We used 3 medium lemons and was able to squeeze the ¼ cup of juice. These lemons were juicy, sometimes they’re a little dry, use more or less as needed. Use more or less pepper, to taste. We only added about a ¼ tsp. to the pasta and then served the dish with black pepper on the side so the adults could spice it up and my son was happy too. 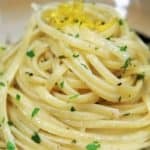 In this lemon pepper pasta, fettuccine noodles are combined with a delicious lemon pepper sauce. ​Bring a large pot of water to a boil, add 2 tablespoons of salt and the linguine. Stir the pasta frequently for the first few minutes of cooking time. Cook the pasta to package directions for al dente. While the pasta cooks: Heat a skillet over medium heat, add the olive oil and the butter. Heat until the butter is melted and foamy. Lower the heat to medium-low and add the garlic. Cook for 1 minute, stirring constantly. 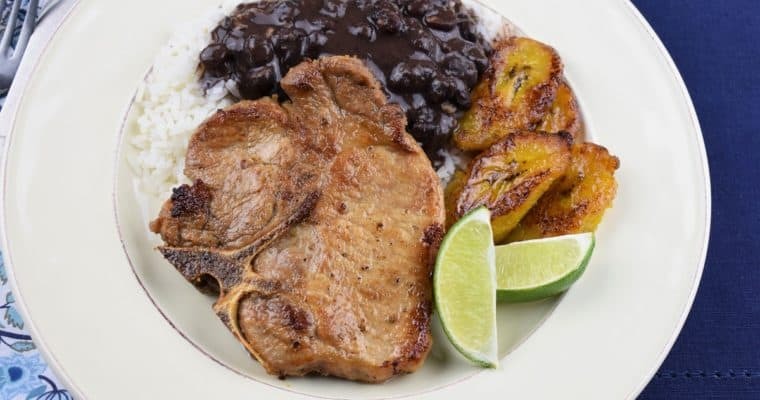 Lower the heat to low and add the lemon juice, lemon zest, ¼ teaspoon of salt and the fresh ground pepper to the skillet. Stir to combine the ingredients well and cook gently for another minute or two. 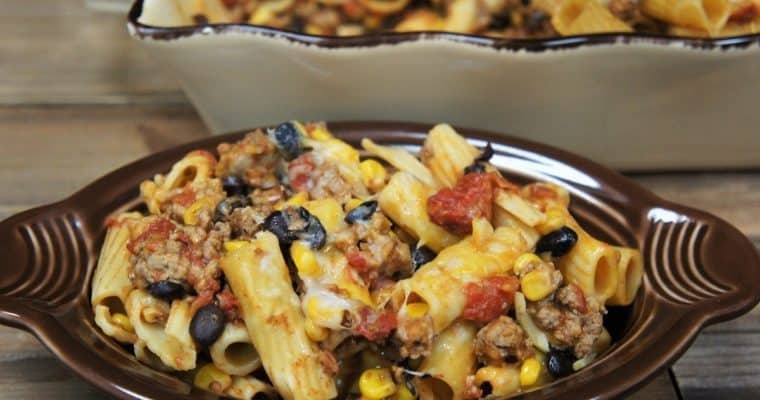 Remove the skillet from the heat and set aside until the pasta is done and drained. Before draining the pasta, reserve about ¼ cup of the pasta cooking water. Drain the pasta completely, and return it to the pot. Toss the pasta with the lemon sauce, reserved cooking water and the parsley. 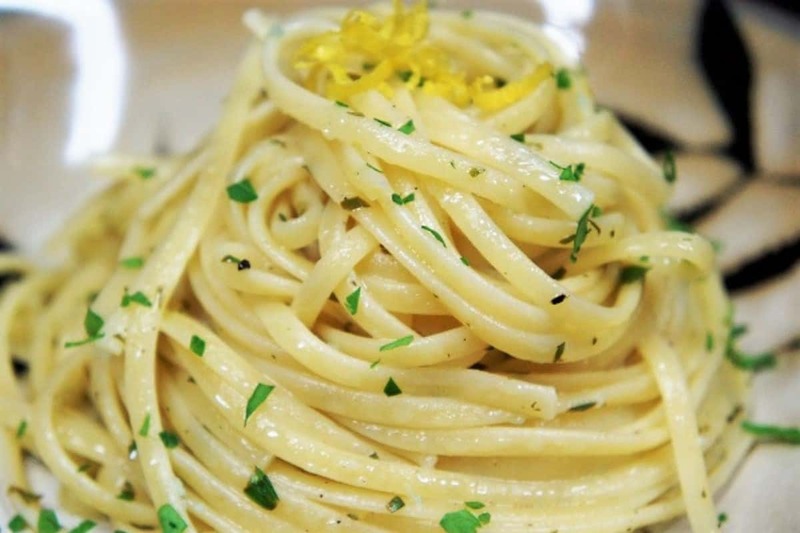 Serve the lemon pepper pasta with extra black pepper and Parmesan cheese. used 3 medium lemons and was able to squeeze the ¼ cup of juice. These lemons were juicy, sometimes they're a little dry, use more or less as needed. Use more or less pepper, to taste. I only added about a ¼ tsp. to the pasta and then served the dish with black pepper on the side so the adults could spice it up and my son was happy too.